Clearing vegetation around the house and proper plant selection were among the recommendations for creating fire-safe landscapes at a seminar on Saturday hosted by Descanso Gardens. The two-part program, titled “Designing for Danger,” had a sold-out crowd of about 50 people, said Cassy Aoyagi, president of FormLA Landscaping. Attendees David and Darlene Spence said they have lived in LCF for more than 30 years and wanted to learn more about the topic. The activities at Descanso Gardens’ Earth Day celebration Sunday will give families the opportunity to plant seeds. 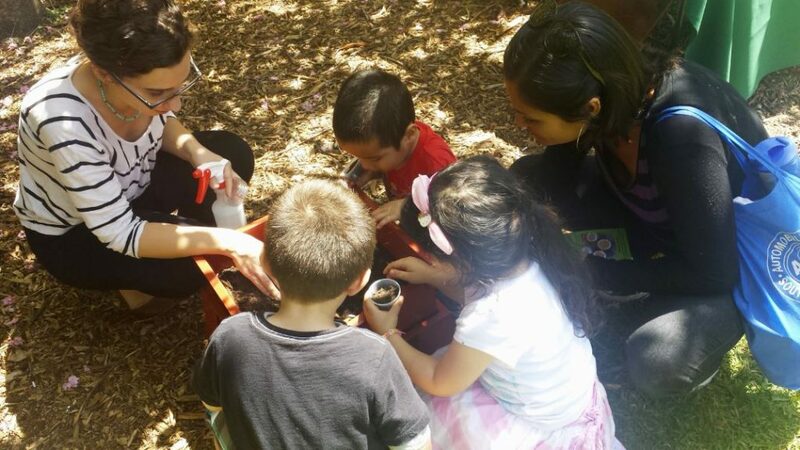 Earth Day at Descanso Gardens is an opportunity for people to help care for the popular botanical gardens, gain a better understanding of nature and to celebrate the planet, said Jennifer Errico, Descanso Gardens’ public relations manager. On Sunday, April 22, Descanso Gardens will host a day of activities and volunteer opportunities in honor of Earth Day. The grounds, which include several botanical gardens and a sprawling Oak Woodland, will provide a scenic backdrop for returning members and local families seeking a visceral, hands-on Earth Day experience. The La Cañada Flintridge Builders Club is made up of 8th-graders who volunteer to help the community. The La Cañada Flintridge 8th-grade Builders Club, sponsored by the La Cañada Kiwanis, had a successful school year. The Builders Club consists of 40 students who volunteer to be part of a community service organization. 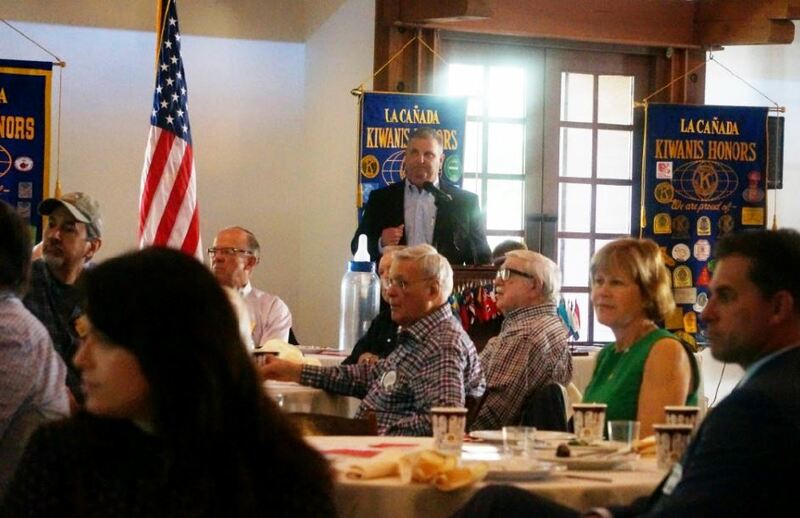 In the annual State of the City address on Wednesday at Descanso Gardens’ Van de Kamp Hall, Mayor Michael Davitt previewed many of the projects ahead in La Cañada Flintridge, including a new online planning program that is expected to make the permitting process easier for residents. 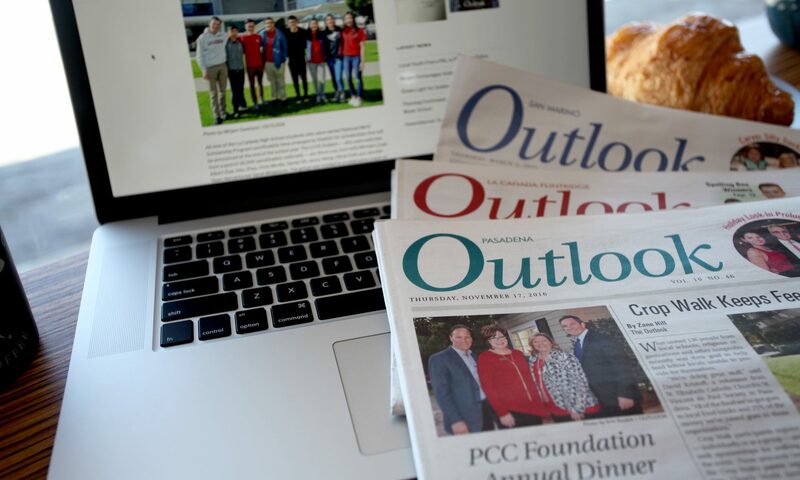 At the annual State of the City address, Mayor Michael Davitt offered morsels of interest for just about everyone in the large lunchtime Kiwanis crowd Wednesday at Descanso Gardens’ Van de Kamp Hall. St. Bede Boy Scout Troop No. 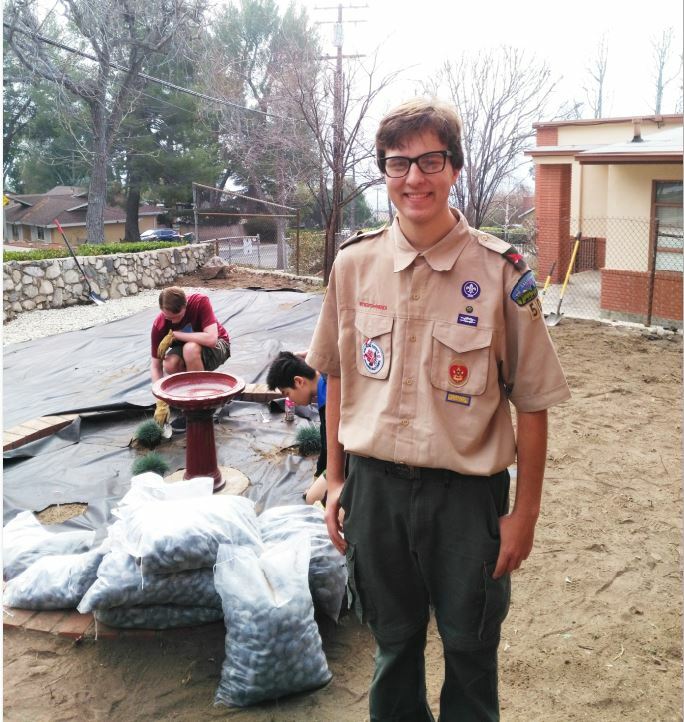 507 recently helped Brent Ellis (pictured) complete his Eagle Scout project removing large rocks and overgrown grass to make room for gravel for the St. James Parish Center on Feb. 10. Troop No. 507 will continue its community service efforts on Saturday, Feb. 24, when Scout Ethan Harp will restore locker hooks at La Cañada Elementary. Also, Brian Ling is raising funds to construct a redwood fence at Descanso Gardens. Hazel Valentine reacts with delight upon hearing her name called as the next Miss La Cañada Flintridge during the Chamber of Commerce’s recent Installation and Awards Dinner. Applying to join the Miss La Cañada Flintridge Court got Hazel Valentine thinking about her hometown and what might constitute a perfect day here. It would begin, the newly crowned Miss LCF said, with a visit to the Golden Donut Palace “because it’s my family’s favorite.” Then there’d be a hike, maybe at Descanso Gardens. A dog-lover, she’d stop by Button Nose Pet Shop before going for dinner either at Los Gringos Locos or Ichiban. Since the early 1950s, the La Cañada Noontime Kiwanis Club has been recognizing an individual as the La Cañadan of the Year. The club will be selecting an outstanding citizen from the community to be honored. 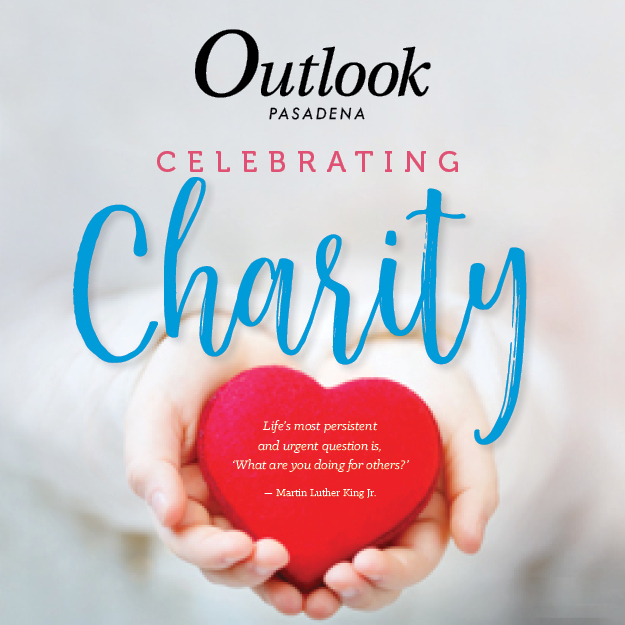 The public is asked to contribute to the process by nominating members of the community who have demonstrated strong evidence of “giving back” and exemplary commitment to the community. Longtime La Cañada Flintridge resident and community leader, Jeanne Broberg, was honored last year. 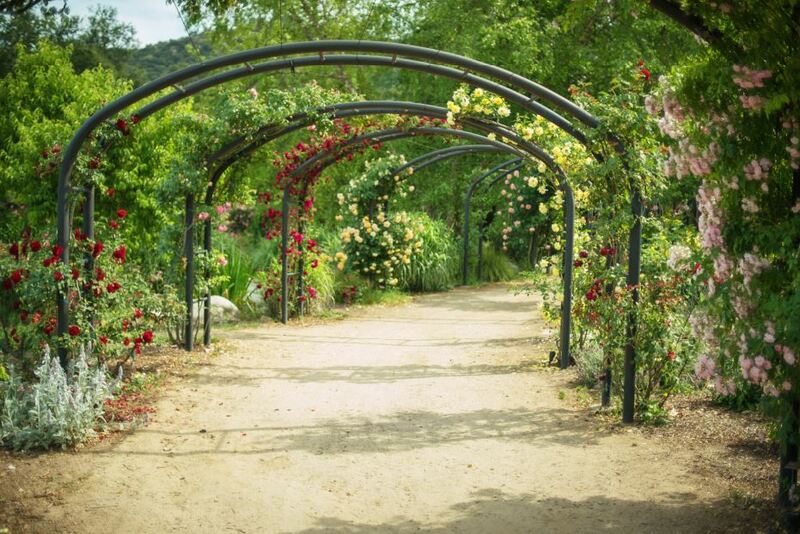 Picturesque scenes such as the archway leading into the Rose Garden at Descanso Gardens help tell a story about the region’s past, which has been documented in a film that will air at 8:30 p.m. on Tuesday, July 18, on KCET. Descanso Gardens is not just a pretty place. Certainly, its natural beauty is refreshing, but Executive Director David Brown has long believed there’s much more to it. He pitched that notion to KCET-TV in mid-March — right when the station’s personnel were planning programming for their “Summer of the Environment” initiative. The result: “Lost LA: Descanso Gardens,” an hourlong documentary that dives deep into the botanical gardens’ beauty as well as its social, political and cultural significance. 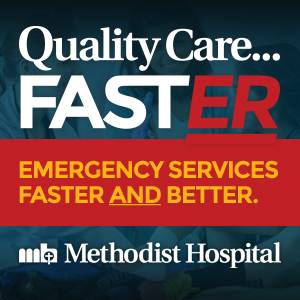 It will premiere at 8:30 p.m. on Tuesday, July 18, on KCET. La Cañada Flintridge City Council members agreed on Monday to spend $359,375 to support 11 local community groups and spend $914,700 on capital projects such as street improvements and bridge repairs. In the third and final of its annual budget hearings, the City Council decided to take $354,550 from reserves, $100,000 from its solid waste funds and increase its conservative revenue expectations by adding $125,000 to the budget for items they deem necessary in the coming fiscal year.